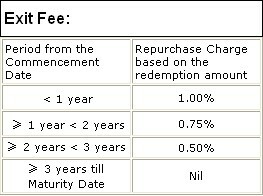 Public mutual is launching a new fund, Public Indonesia Select Fund on 1st September 2010. The fund invests in a diversified portfolio of blue chips, index stocks and growth stocks primarily in the Indonesian market, with up to 30% of its net asset value invested in the Malaysian and other global markets. Public Mutual’s CEO said Indonesia, which has the largest economy in South East Asia, is poised to be one of the fastest growing economies in Asia after China and India. Huge domestic base, being the 4th most populated country in the world. The fund would focus on sectors which include banking & finance, commodities, building materials and consumers. The fund is a niche product suitable for aggressive investors who wish to capitalize on the long-term growth prospects of Indonesian market. Downpayment to be raised to 20%? According to real estate players, Bank Negara Malaysia (BNM) may impose a lower mortgage Loan-to-Value (LVR) ratio soon. How soon? As reported in all dailies recently, property prices in Malaysia have been escalating since last year. No doubt, many people made handsome profit even in this down time through properties. Even though BNM has upped the base lending rate (BLR) 3 times so far this year, demand for properties seems unaffected, especially for high-end properties. According to Bernama, Bank Negara is reported to have written to financial institutions to secure feedback on the possibility of capping the LVR for mortgages at 80% to avert the risk of a potential property bubble. 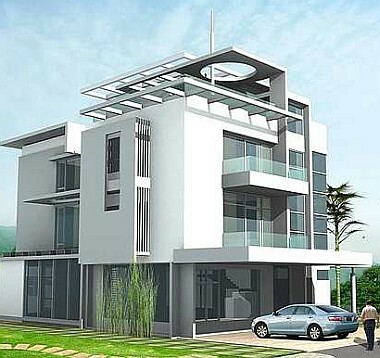 Recalled, government had imposed a 5% real property gain tax (RPGT) during Budget 2010 to curb the speculative buying of properties. So, it’s not surprise that BNM will implement the 80% cap on mortgage LVR, or at least for properties of more than RM500k. Currently, banks can usually lend up to 90% of the house value, or up to 100% in selected cases. Moreover, developers are promoting 10/90 home loan schemes for their new launches, by the way of interest absorbing, as witnessed last year. Yes, the schemes are very successful given the property outlook last year. Because people can easily buy a house without much commitment, it may pose a danger to banks’ non-performing-loan (NPL), if house buyers default on loan payments later. To curb speculative buying of properties, countries such as China, Hong Kong and Singapore, have already implemented progressively higher down payment ratio for buyers who own more than one property. In my opinion, should BNM set new lending rules to cool real-estate industry, I suggest increasing minimum down payment to 20% for high-end properties only, and exclude first-time buyers for all type of properties. To minimize the impact on the industry. To support government effort to encourage home ownership. To target speculators specifically, not public at large. Once more, only first-time buyers should be exempted from higher down payment. Because, once high-end properties’ down payment set to 20%, speculators would shift their focus to middle-class properties, which could hit the man on the street. 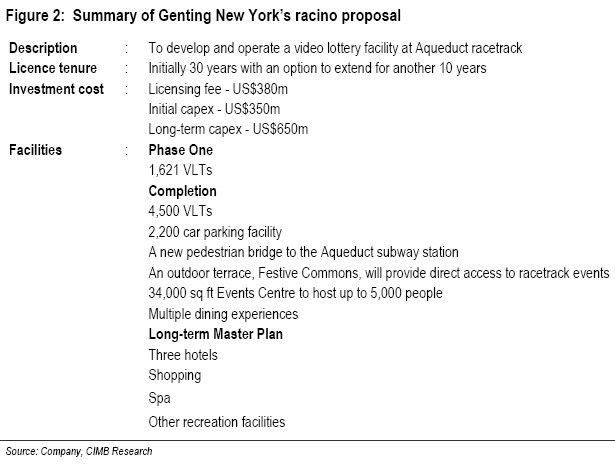 The past two months have seen a slew of activities within the Genting group. Other than the spectacular result shown by Genting Singapore (GENS), Genting seems to be treating unfairly to another son – Genting Malaysia (GENM). Well, the Aqueduct deal appears promising, with its key appeal being its strategic location just two subway stops from the New York subway. However, the UK assets seem to be too expensive for GENM to swallow. According to CIMB research, the acquisition price seems slightly high at 1.2x price/book value. Recall GENS originally bought these assets back in 2006 for £699m and three impairment charges taken since then have reduced the book value to the current £289m. And, because of the above two deals, GENM’s net cash hoard of RM5.27bn will be reduced to RM0.8bn (assuming total initial investment cost of US$730m for the Aqueduct deal). 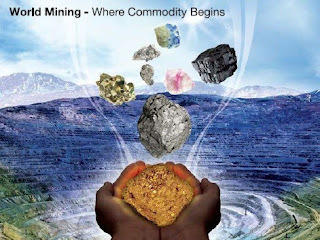 Following the stabilisation of the global economies after the global financial crisis, we have seen a significant recovery in prices of hard commodities (such as base metal (e.g. copper, aluminum), bulk commodities (e.g. coal, iron ore) and precious metal (gold, silver)). Whilst we do not necessarily expect the same rate of price increase going forward, it is our expectation that such commodity prices are likely to remain well supported from demand growth, particularly from the emerging markets such as China, India and Brazil as well as the western world coupled with supply side constraints which should underpin these commodity prices over the coming years. 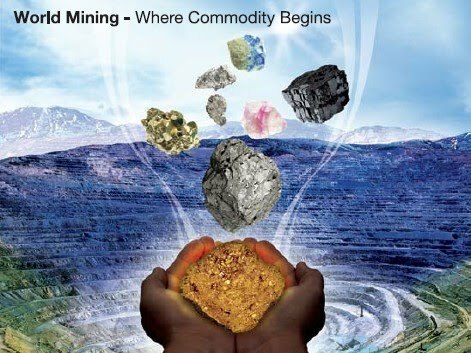 OSK-UOB Capital Protected* World Mining Fund (CPWMF) is a 4-year closed-end capital protected fund which aims to provide capital appreciation over the medium term whilst protecting investors’ capital on the Maturity Date. have a medium term horizon. * This is not a capital-guaranteed fund. New Economic Model - Urgent !!! When Prime Minister announced the New Economic Model (NEM) this year, the private sector and investors are welcoming the measures taken by the government towards liberalization. However, things are hanging nowhere, and business community are wondering the implementations part. Would NEM be implemented as promised? And, when? "The NEM is a breath of fresh air and has to be implemented quickly and executed in the right way so that the country can attract more foreign funds into the country. Malaysia faced serious economic structural problems in the areas of productivity, efficiency and competitiveness." Recently, CIMB's Datuk Nazir Razak also share the same view, calling for a fast implementation of NEM to attract FDI into our country. 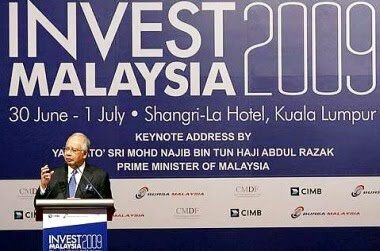 "Malaysia would be trapped as a middle-income country if it failed to liberalise its economy and boost investment, and we should achieve the target of high-income nation by 2020, under 10MP and NEM." Rubber Glove - Growth Industry (still)? Malaysia is the world’s largest producer and, together with Thailand and Indonesia, commanding world’s market share of 70%. World's and Malaysia's top-3 manufacturers are TopGlove, Supermax, and Kossan. High latex cost, which accounts for 70% of the bottom line, had hit an all-time high of RM7.78/kg in April as a result of supply concern from El Nino effect. Weakening US$ against RM by 6.4% this year could see earnings contracting, as US accounts for 80% of the export market. As history shown, glove manufactures are able to pass the operating cost to clients as long as the demand is strong. As for demand side, we can expect demand to stay strong from healthcare industry. Moreover, rising awareness in healthcare standards in emerging countries should help to boost the demand for medical gloves in the long-term. Seasonally, 2Q tends to be a slower period in terms of orders, and orders should pick up again by end of the year. Meanwhile, latex price has been stabilizing around RM7/kg now. Although still remain high, this could let glove players to price-in their products for the next few months. This round of correction presents us an opportunity to accumulate glove jewels, provided that the long-term demand is still intact, and there is no price war between manufacturers as a result of over-expansions. Zhulian is one of the leading Direct Selling Companies in Malaysia with more than 80 authorized agencies and approximately 100,000 distributors. Founded in 1989 with initial core business in distributing gold-plated jewellery through Multi-Level Marketing (MLM) channel, Zhulian had since diversified its products lines to home care, f&b, nutritional supplements, personal care, cosmetics, air treatment, water treatment, sleep enhancement products and disposable hygiene products. After venturing into Thailand and Indonesia market since 1990’s, Zhulian is currently looking to spread its wings to Philippines and Vietnam. In fact, Indonesia market is expected to contribute to its earnings tremendously in the next few years because of huge untapped market. Currently, it’s Thailand and Indonesia operations contribute 46% and 5% of its total sales respectively. The company would continue to introduce 8-10 new products every year to entice its consumers and help its MLM agents to push sales. Moreover, the future direction is to have more consumables revenue which is recession proof. With a payout of 60%, one could expect get an attractive net dividend yield of 6-7% per year now. And, the company has Rm127mil cash currently. 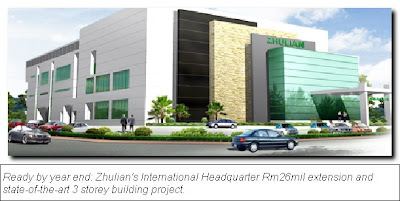 Many research houses has a BUYcall on Zhulian, and the target price are ranging between Rm2.30 to Rm2.50, which implies a potential upside of around 20%. With such a stable and low risk counter, couple with decent dividend yield and strong growing market, would you make it your Gem? Why unemployment rate remain HIGH now? Again, US will announce one of their main economy indicators – unemployment rate – this Friday, 6th August. Investors are cautiously trading ahead of the result, while some economists are projecting a higher unemployment rate this time. What? Higher? Personally, I think the US unemployment rate will remain high in the short-term, at least, mainly because corporate are upgrading their system, instead of hiring now. For instance, 2008 economic crisis had forced many surviving companies to trim down their workforce, to reduce the fixed cost of a business. 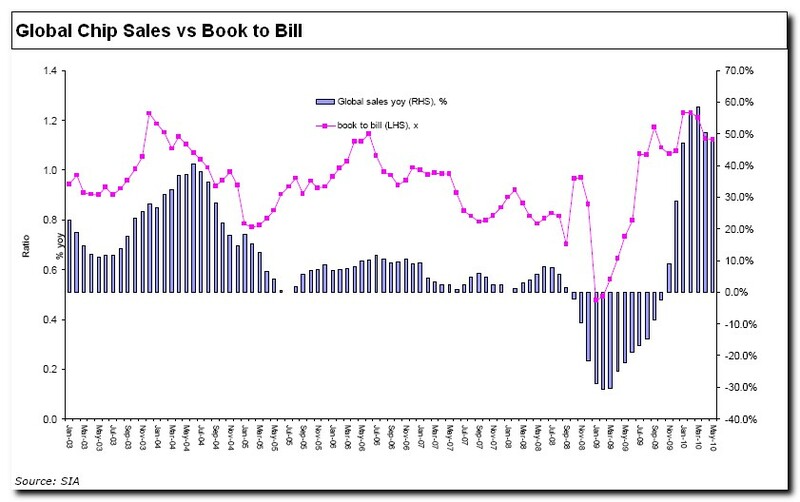 Then, when economy is getting better in 2009, companies are hiring temporary or contract workers to beef up their inventory which slumped to record low level in previous year. Now in 2010, companies are spending to improve their operating or delivering systems to remain cost competitive. Hiring seems to be the last resort would a company take for long-term confirmation of a reviving economy. Thus, I’m not surprise if the result remains high at around 9.5% recorded currently. Msia Tech Sector: Still have potential upside? If you had invested into MPI and Unisem for the past one year, I congratulate you for the "sweet" returns. At this juncture, is it still good? As written in my previous article, I highlighted that the tech-stocks maybe in the brink of peak. The chart below double-confirm with what I said. From there, global chips sales had peaked in March this year and now are showing signs of slowing down. If the share price of your darling stock still holds up well, this means that it is no longer cheap. Rule of thumb, CHIP sales reflecting how CHEAP is tech-stocks. This is a turning point where rising raw materials prices and stronger Ringgit would affect the manufacturing sector. It is wise to take profits now. Do not worry, 2nd quarter profit still considered okay. You still have plenty of times to unwind your holdings.